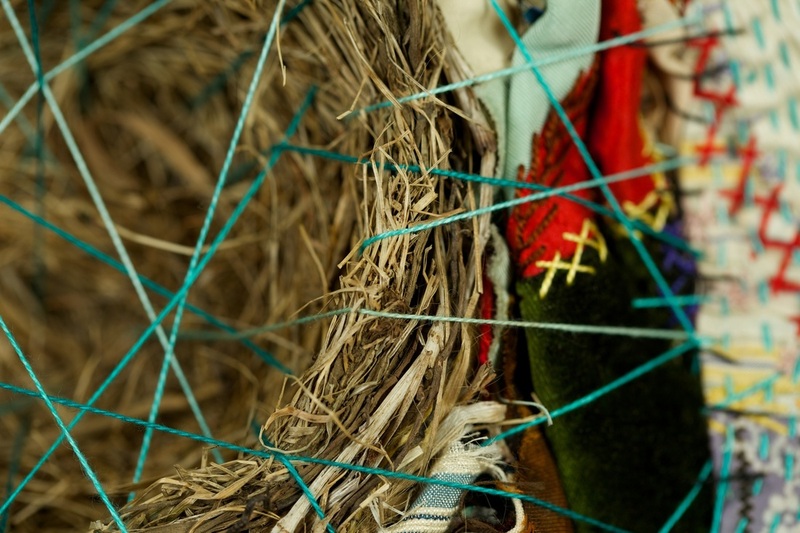 Vintage ﻿domestic linens & draperies, wool, cotton, silk & silk organza mesh, found objects. 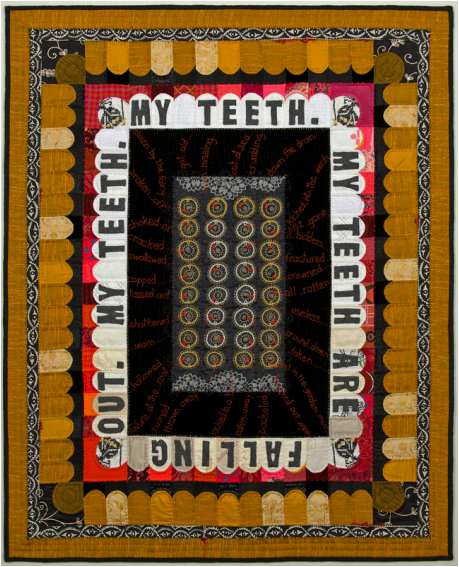 Machine pieced, hand embroidered, hand quilted, hand appliquéd, 2014. Silk organza overlay, vintage domestic linens & crocheted doilies, ink. 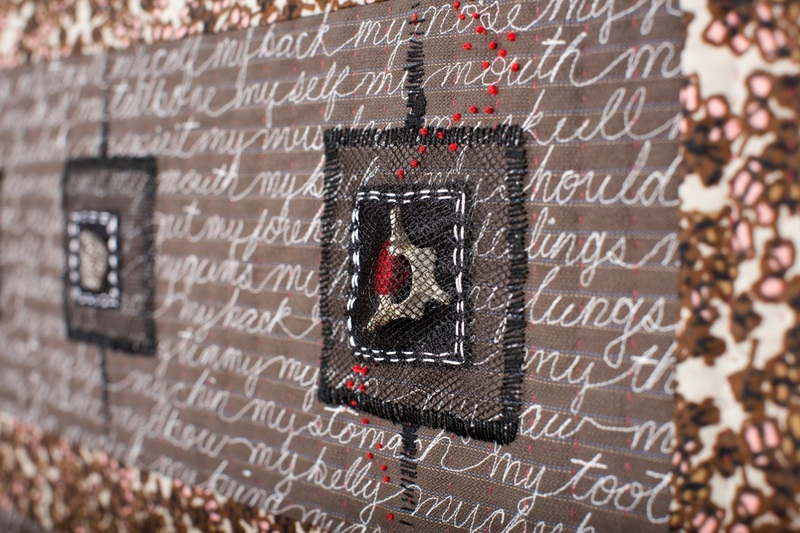 Hand appliquéd, hand embroidered, hand quilted, 2014. 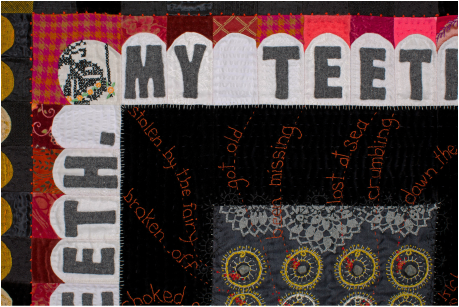 Juror's Merit Award, "All Alaska Juried XXXV" biennial exhibition, Anchorage Museum at Rasmuson Center. 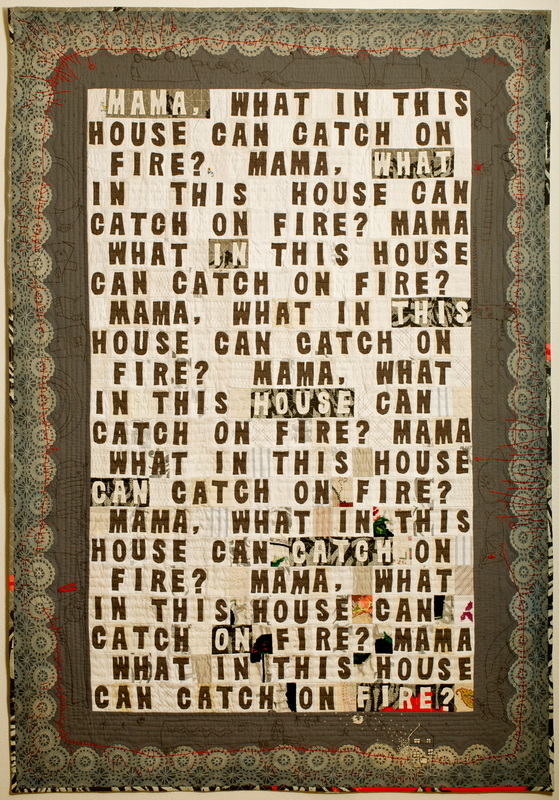 hand embroidered and appliquéd, hand quilted, 2014. "All Alaska Juried XXXV" biennial exhibition, Anchorage Museum at Rasmuson Center. Silk organza overlay, vintage domestic linens & crocheted doilies, ink. 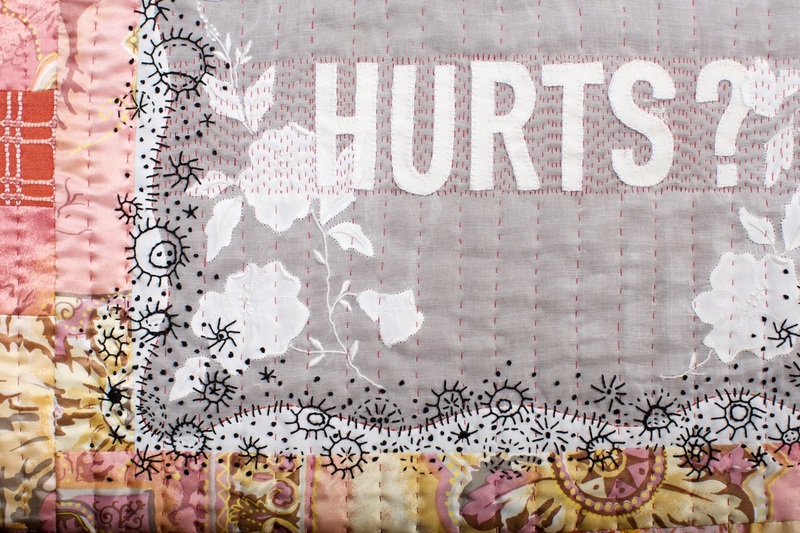 Hand appliquéd, hand embroidered, hand quilted, 2014. 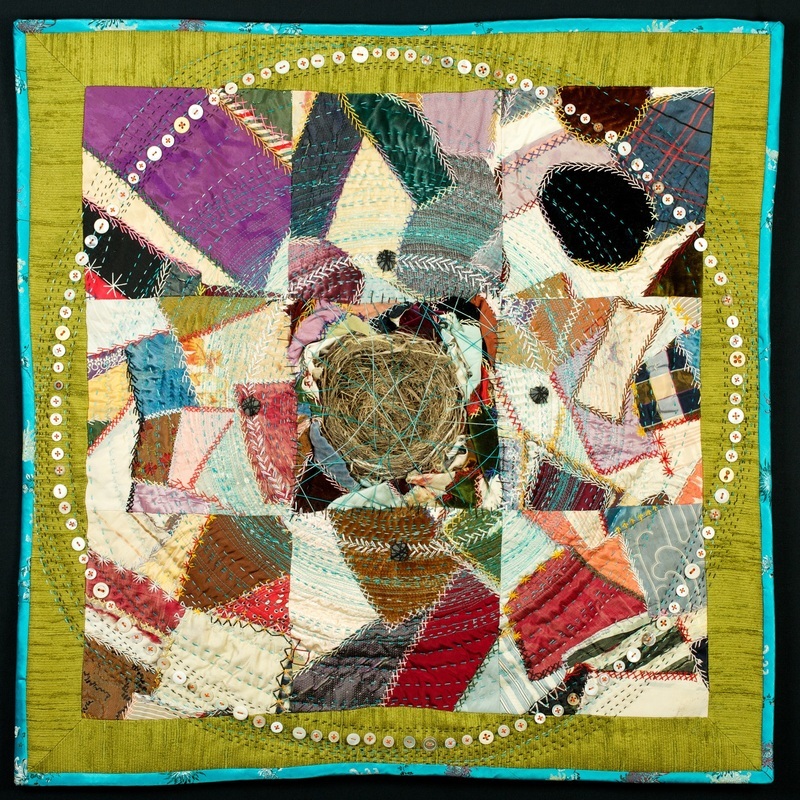 QUILTS=ART=QUILTS 2014, Schweinfurth Art Center, Auburn, NY. Wool, cotton, and vintage domestic linens. 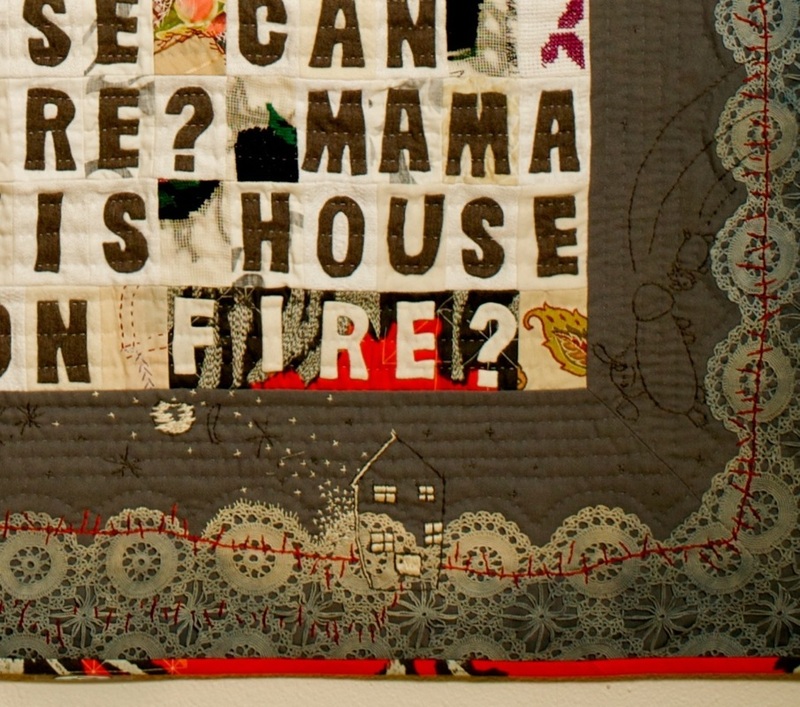 Machine pieced, hand appliquéd, hand dyed, hand embroidered, and hand quilted, 2013. 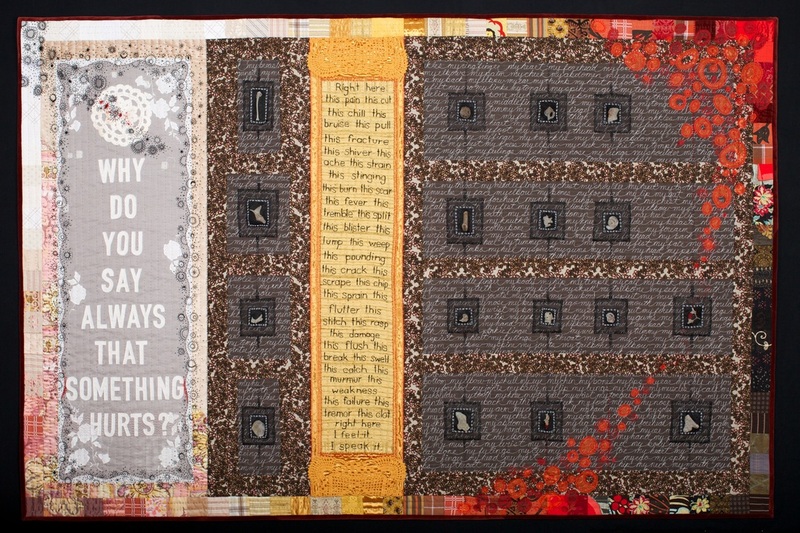 Juror's Choice Award, "Earth, Fire & Fibre XXIX" biennial exhibition, Anchorage Museum at Rasmuson Center. Permanent Collection, Anchorage Museum at Rasmuson Center, Anchorage, Alaska. Vintage crazy quilt scraps and drapery, clothing, found objects. Machine pieced, hand embroidered, hand quilted, 2014.